Sequels can be scary.... not as good as the first one, no real action in the plot, seems like a giant filler book..... NOT THIS ONE. Glass Sword was phenomenal. Definitely one of the best sequels -actually one of the best books- that I have read so far this year. 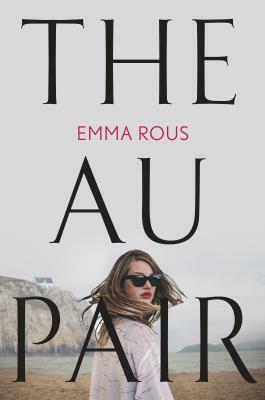 This may sound extreme, because it is, but towards the end of the book my reactions were so strong that I sobbed for about thirty minutes and shortly afterwords something else happened and I threw up. Like I said, very dramatic, very emotional, VERY extreme. Which is odd, because I normally don't have very strong reactions. Victoria Aveyard's writing was that good, and that compelling. Farley: Without a doubt, Farley is one of the strongest female characters that I had ever read. Most of the girls in this book are. I loved FarleyxShade, and I am actually pretty sure that Farley is pregnant. And that kills me because they won't have a father growing up. Cal: Cal confuses me... he was not my ship in Red Queen (for the most part), and he was slightly annoying at times in this book. I do like how he stepped up at times though to take care of Mare and assume an active role in the rebellion and Scarlet Guard. Maven: He is the reason I threw up. His words and actions were just so revolting and perfectly evil that I couldn't help myself. To be more specific, I threw up when he put a F***ING COLLAR ON HER. Maven! What the hell?! I had hope that you were being brainwashed my your mom! But this, along with the fact the he was keeping his mom practically prisoner, makes me reluctantly believe that it was all Maven, and I still really really don't want him to be evil. Mare: Holy complicated, realistic, and complex character. Because of the realistic development of Mare's character, she is one of my favorites. I know some people were annoyed by her actions and responses in the book, but let's be practical. She just came from a high-stress hellish experience. PTSD is to be expected and Mare was supremely strong in her position. I applaud Victoria for writing Mare as she did. The only other concern that I have for this character is that she is going to go dark.... because for as much as Mare has been fighting for the Scarlet Guard, I could also see her teaming up with Maven to fight the Lakelanders and the other ones(idk their name?). 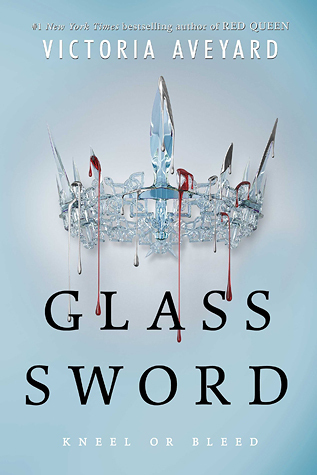 Just like her characters, Victoria Aveyard has created an intensely complex world that is a very nice blend of magical elements, political scheming, and potential outside forces coming in. The biggest thought I have about it right now is about the visitors that Mare had towards the end of the book from the other country. It's killing me that I can't remember their name right now, but with that visit, Mare brings up that there is a very fine edge to walk on when fixing the corrupt so that you don't become the next corrupt along the way. This, tied into what happens at the end... I have a very strange theory about how this story is going to play out. For the entire book, we have no clue what Maven is really up to. We don't know about his POV, his thoughts, what he knows, nothing. What if he knows about the other external threats? Is trying to take care of it himself? What if he is putting up a front to maintain a level of surprise? I may be grasping for straws here because I still don't want Maven to be bad, but he id definitely smart enough to put on a show like this. Capturing Mare? Part inner psycho, part strategy to make sure that he has someone with New Red blood and a sharp mind to confide in reliably. An inner eye and ear to speak of about Scarlet Guard. And Mare ultimately wants what is best for the land, which is equality. So if she believes that Maven is the most level-headed unbiased choice out of all of them, she may begin to help him to prevent a power reversal of red and silver blood and instead implant a new political system of equality. This is very confusing, but I hope that it also makes sense once you think about it some more. I have big hopes for this series, so I would HIGHLY recommend picking them up now and starting them while they're still (somewhat) unknown. I use that term very loosely, because they are bestselling novels and almost everybody in the book world has heard of them. The first book is Red Queen and just like this book, it is amazing and beautifully written.